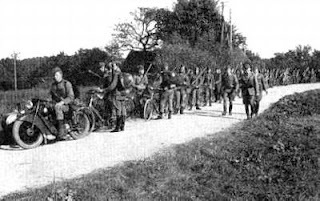 Like many countries, Denmark had bicycle regiments. 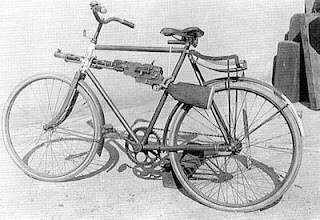 On this website, I found these photos and detailed information about how in 1937 a Bicycle Regiment was formed. 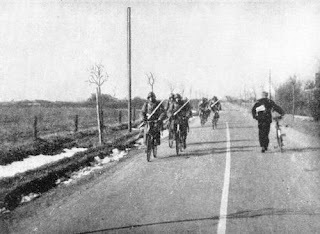 From what I understand, the 4th Battalion's Bicycle Regiment saw some action near Bredevad when the Germans invaded on April 9, 1940, and this picture is taken that day. 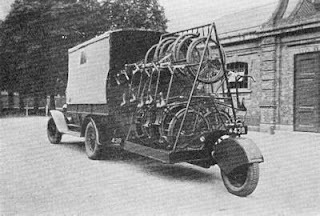 A support vehicle with a bike workshop and reserve bicycles. 1940. The 4th Battalion's Bicycle Company training in 1938.